The rise of cheap package breaks, and holidaymakers' willingness to risk getting burnt in pursuit of a tan, has driven the number of older people being diagnosed with skin cancer up to record levels, new figures suggest. 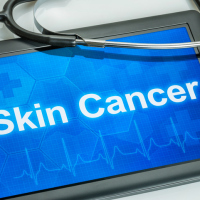 Cancer Research UK says 20 years ago the number of people aged 55 and over who were diagnosed with malignant melanoma - the most serious form of skin cancer - totalled around 3,100. But by 2014 - the most recent year for which figures are available - it says the annual total rose above 10,000 for the first time to hit a record 10,583. The charity says the rise can be partly explained by the fact that people, on average, are now living longer than they did two decades ago. However, it adds the rise since the 1960s of cheap package holidays is also to blame. The newly released data also shows that over the same period melanoma rates among people aged under 55 increased by 63%. The figures perhaps highlight the need for families to make sure they stock up on sunscreen, hats and sunglasses as well as a good travel insurance policy before heading off abroad on holiday. Sarah Williams is Cancer Research UK's health information manager. She says it's likely that the rise in the number of older people diagnosed with malignant melanoma is linked to the "sun, sea and sangria" generation who benefited from the rise of affordable package holidays and flew off to countries such as Spain, Greece and Portugal in search of a tan. In the UK over 15,000 people a year are diagnosed with melanoma, making it the nation's fifth commonest form of cancer. Among those aged 55 and above the disease claims about 2,000 lives a year.